BeerStore is a mobile application that allows brewery companies to increase the fidelity of their customers by offering perks in selected pubs. Users can promote their favorite breweries and beers on the mobile application, which is connected with Facebook. In turn, these actions will allow users to earn badges and prizes. Badges and prizes can also be received by purchasing beers in pubs that have registered themselves with this service. Furthermore, awards can be granted by uploading pictures on Facebook and they can be exchanged for discounts or even other perks that will serve as extra incentives for the users. Bar and pub customers can sign-up to BeerStore by connecting via Facebook. They can increase their social presence within the app by posting photos and reviews to increase the number of their friends and followers. 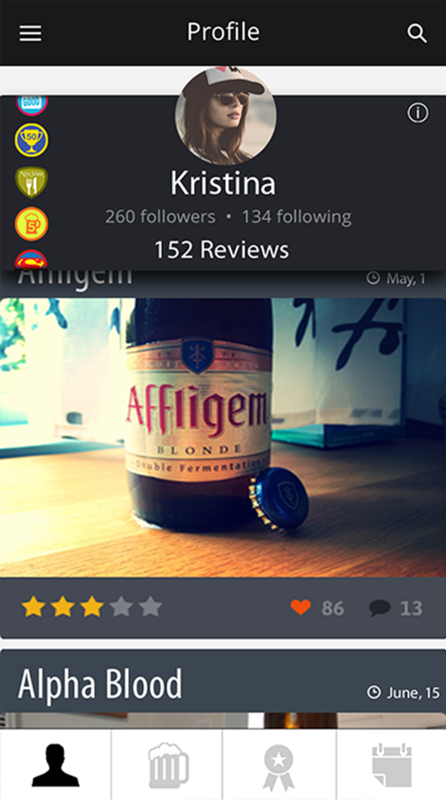 Users can add reviews of up to five stars for the beers, which will be visible on their profile pages. Facebook connectivity comes in handy for users who want to upload photos captured in their favorite bars. They can also add hashtags to their posts and they can explore the hashtags to see if other people have posted similar content on the social network. 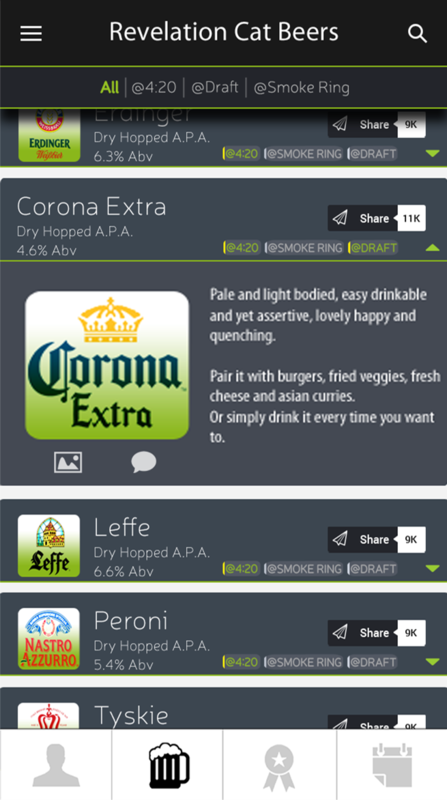 The application allows users to find out more details about beers, which can be sorted based on their type. In the menu there is a dedicated section for the badges and prizes. Another section available within the BeerStore application consists of special events. 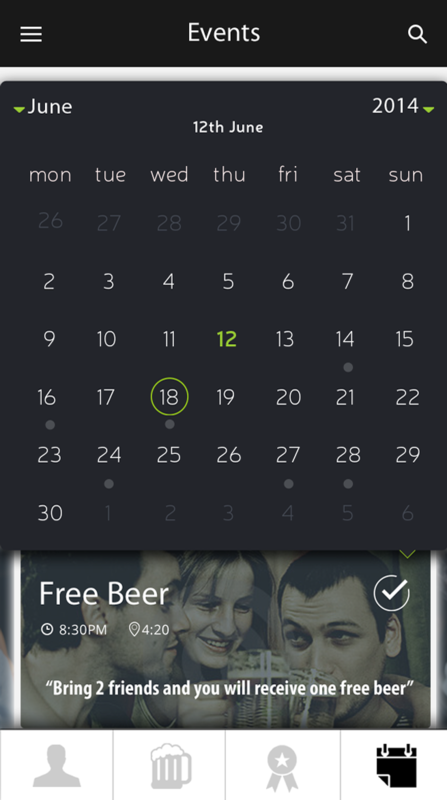 Bars or pubs can add them, while users can see event details in order to decide whether to participate or not. Push notifications are supported, therefore users can be notified as soon as a bar owners or brewery companies organize a new event or festival. Users can also check out the received awards by fellow beer fans. Additionally, there is a hall of fame section, which details the users that have received the highest amount of awards. 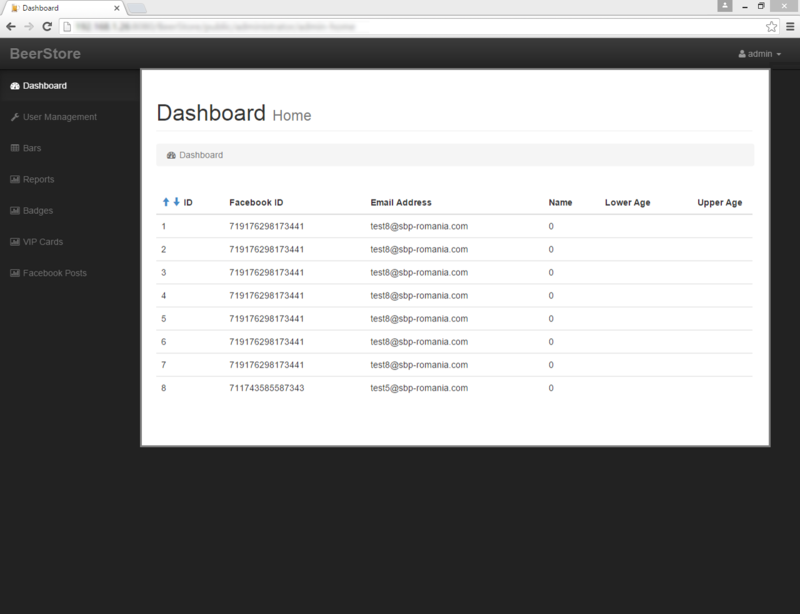 The web component of the BeerStore service can be accessed by bar and brewery managers as well as by an admin. They can define beers and even set them as available in pubs. Managers and admins have the ability to moderate Facebook photos. They are the ones who manage events, while being able to create newsletters for their subscribers.